Radionics is designed to help improve the overall health of a person. This practice is related to the energy fields that exist in living creatures. Practitioners of radionics work remotely through a combination of the use of the universal energy fields and technological devices. Most often, those receiving radionics treatments do not ever meet their practitioner in person. Instead, the practitioners ask for things such as a lock of hair, a photo, or a signature, to make the connection with the patient. Using a tool called a black box, the practitioners decipher the information contained within the energy of these items to diagnosis and supposedly heal an individual. 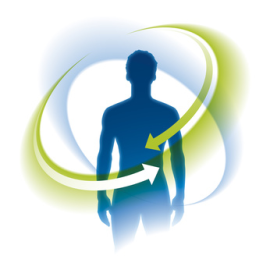 The healing energy can be sent to the patient through the box, or through the practitioner’s own connection to the universal flow of energy and their intuitions. The greatest part of the practice of radionics relies on a belief in extrasensory perception (ESP)and other forms of universal energy. The practice strives to help people achieve a more balanced body, mind and spirit. Many who choose this type of therapy have had difficulty with the tradition medical options that are available. This therapy cannot do any harm, but practitioners do charge for their services and there is no guarantee that the procedures will work. This practice is banned for use on humans in America. Over s70 years ago, Doctor Albert Abrams, a physician from North America, initiated the idea of Radionics. His research was expanded upon by an engineer from the United Kingdom during the 1940s, when some of the technology for the process was developed. The original development was accomplished locally, meaning that the patient and the practitioner were in the same room and a wire was used so the radiated energy could be transferred to a devise. His theory claimed that the settings of this device could be changed in order to regulate a patient’s condition. These techniques were further expounded upon by a chiropractor from California, Ruth Down. She claimed that there were exact rates that could be used to show differences between a normal patient and an abnormal one. She felt that if this signal was then returned to the patient that it would allow for remote healing, or diagnosing a difficult problem for fast treatment. Radionics for human treatment is actually illegal in the United States; however, it is allowed in Canada and the UK. There is an association for radionics in the UK where practitioners are trained and registered. Radionics practitioners rarely meet their patients; instead, they can be contacted generally by mail, email, telephone or other forms of communication. The patients are asked to fill out a form with a series of health-related questions. The practitioners will often either ask for a sample of the patient’s blood, hair, or other personally-connected object. Sometimes a photo is also requested. This information or content is then inserted in the technological devices and the rates are given. The information these devices give the practitioner will include the necessary information to make a diagnosis. Some practitioners use these technological devises to help them focus their healing powers back to the person in question. Some practitioners work not only with the living, but also feel that they can help a person who has already passed. This is done by connecting to the remaining vibrations of the person and they feel they can help them transition from this life to the next. Again, there is no scientific proof to back these theories in any way. Radionics itself is a type of treatment though there is no scientific basis to the process. The treatments are a practitioner believing that they can then send their energy and the proper type of energy back to the client and help them to heal. Science plays no part in this type of spiritual healing, and any evidence to its effectiveness is purely anticdotal. Radionics are used not only on humans, but often practitioners claim to be able to help pets as well. They will request feathers rather than a blood or hair sample. Instead of a feather, a piece of fur or skin that has been shed can be used for diagnosis. This therapy should not be considered as any form of replacement for traditional treatments. One should always consult with a medical doctor if they feel they are having a serious health problem before turning to this type of method. Any diagnosis that is made by this type of practitioner should be reviewed by a medical professional. There have been no studies to prove the usefulness, effectiveness, or reliability of this type of therapy. The therapy itself cannot harm a person; however, there is no proof that it is a valid form of diagnosis or treatment plan. Those who believe in this type of therapy feel that it can help deal with all sorts of medical problems from those that are minor to ones which are extreme and can end in helping transition those who have passed into whatever afterlife lies ahead. Practitioners work to analyze the patient through the vibrations that come from the blood or hair sample that is made available. Practitioners feel that the patterns in the vibrations will help them to discover what is wrong with their patients, and therefore they will be able to tune in more acutely to their problems. From that point, they are relying on pseudoscience and the belief that there is a universal energy revolving all around every creature and human on the planet. Practitioners feel that through the information obtained from their technology they can use that energy to help heal their patients.